When you write for shelter magazines you have the opportunity to meet designers from around the country who are delighted to share their insights and decorating tips. I’ve always been fascinated by the savvy designers who truly appreciate bargains and advocate Craigslist as a great source for cabinetry. DIY’ers are enthusiastic about home remodeling projects. However, when they buy cabinetry on-line, such as a bathroom vanity, they neglect to take precise measurements of their space before they click the mouse and proceed to check-out. The vanity is delivered, it doesn’t fit into the space as imagined, and the homeowner tries to ease their heartache by selling the unused cabinetry, still in the box, on Craigslist for a fraction of the original price. If you have a sense of adventure and a vehicle to transport large items, you can really save money on this Internet clearing house. You can look for similar deals on Ebay; however, if you do find something you like chances are the item requires local pick-up and the seller lives 1,000 miles away from you. Craigslist allows you to work with sellers in your community. Then there is the case when someone buys a high-end home and decides to completely remodel the kitchen and bathrooms. Contractors remove the existing slightly used custom cabinets and vanities and sell them on Craigslist well below their original value. 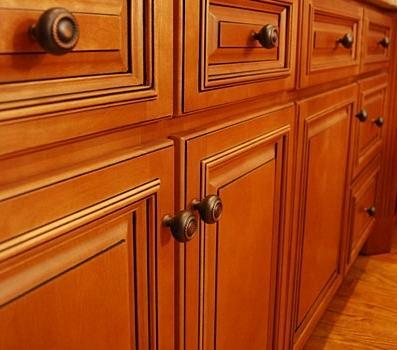 I recently noticed a Craigslist posting for custom kitchen cabinets in Newport, RI that cost over $100,000 to build. After the new cabinets were installed, the homeowner decided to reconfigure the kitchen’s layout. The new cabinets were removed, taken away to a warehouse to be sold for $25,000. If you peruse Craigslist, you’ll also notice that kitchen and bathroom showrooms sell their display cabinetry at drastically reduced prices. We saw a $10,000 custom kitchen island with a farmer’s sink and granite top sold from a showroom in Portsmouth, RI, to a lucky Craigslist buyer for $1,000. If you don’t want to miss out on an opportunity to buy new cabinetry on Craigslist, set up an email alert. Every time a seller in your area posts items for sale that match your alert, you will immediately receive an email. Don’t be blinded by a bargain. 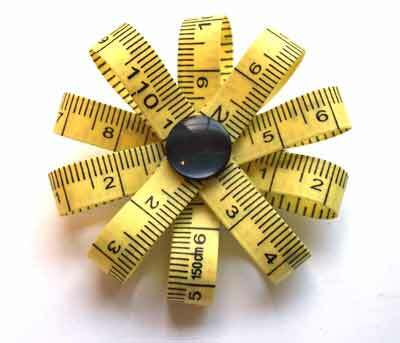 Before you consider purchasing an item on Craigslist, remember to measure twice! 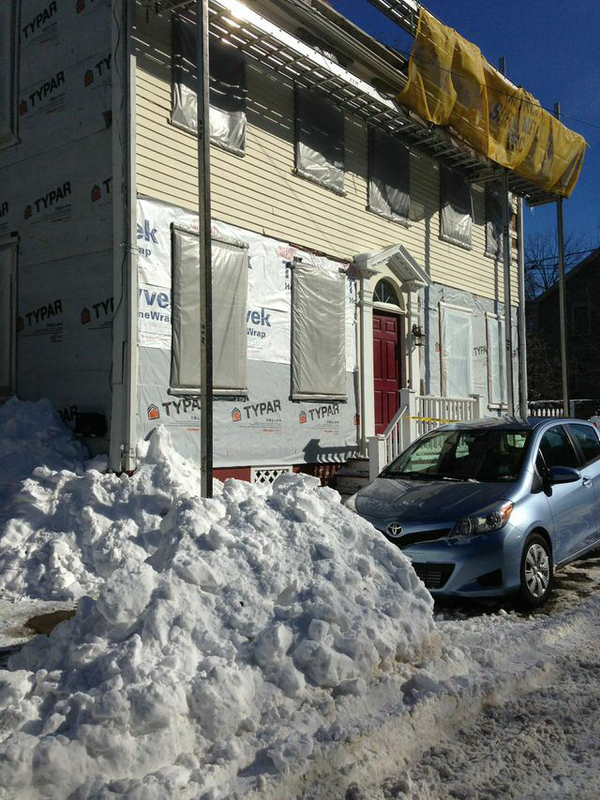 The epic winter of 2015 caused considerable delays for our rejuvenation project. We originally hoped to have custom vanities made for the three bathrooms…..a small bathroom, a master bathroom, and an aging in place bathroom. However, to hasten the project along, we had to buy built vanities. Before heading to a national home improvement store (the one with the orange sign) to check out the selection, I set up an email alert on Craigslist for “new bathroom vanity.” I thought to myself….why not heed sage advice from design professionals? 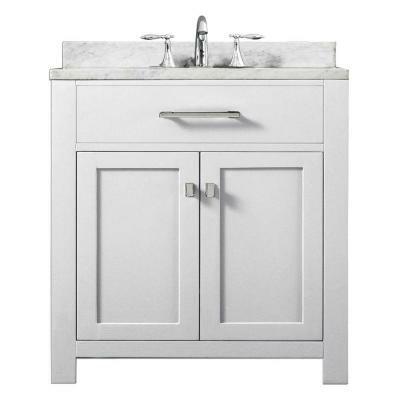 The first Craigslist email alert I received in my inbox advertised a new single-sink white vanity from the Home Depot that was being sold at an 80% discount. The homeowner wanted to remodel a bathroom in his waterfront vacation home in a neighboring town. He did not measure properly and just wanted to get the vanity-still-in-the-box off his front porch. Success! 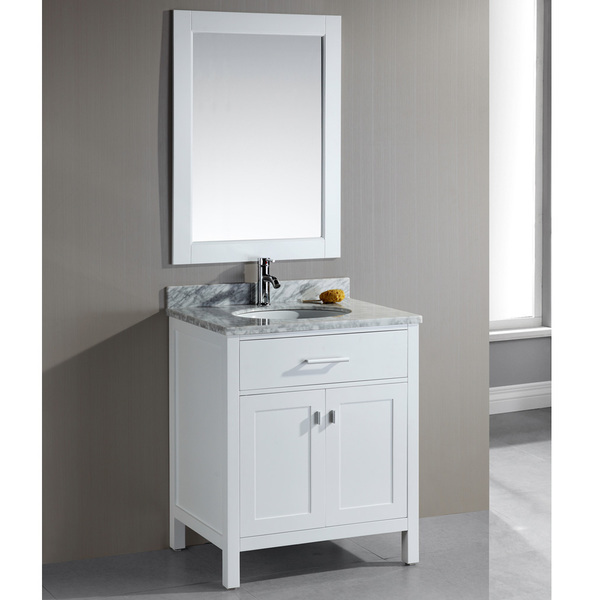 We found the perfect vanity for the small bathroom at a tremendous savings. 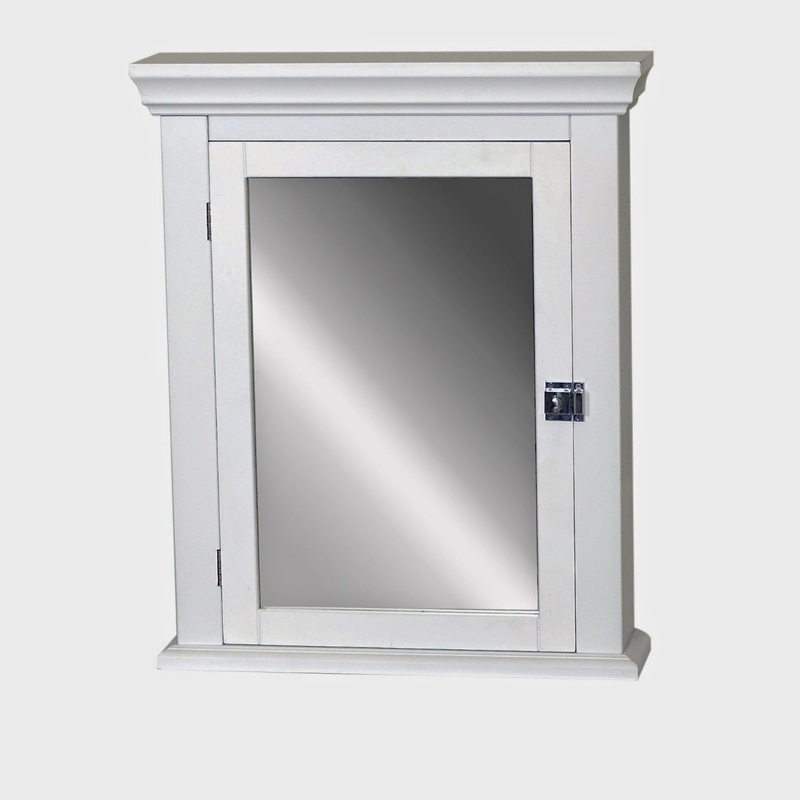 The next Craigslist email alert came from a dealer who specializes in selling vanities that have been returned to a national home improvement store because the buyers did not measure properly or did not like the finish when they saw the vanity in person. This particular dealer buys truckloads of the returned vanities and sells them on Craigslist for a 50-60% discount off the original price. And he offers free delivery in Rhode Island. He happened to be selling an espresso colored double sink vanity with furniture like details, slow close drawers, Carrere marble top and under-mounted sinks. We contacted the dealer by text and two days later a beautiful double vanity was delivered to our project for 60% off the retail price. Let’s Hope That Three’s a Charm. 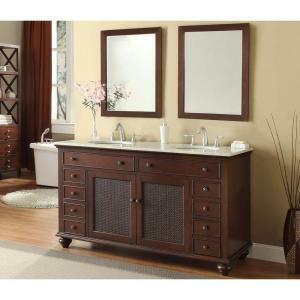 When we met the dealer on the delivery day, we showed him the aging in place bathroom and described what size and type of vanity we were looking for. 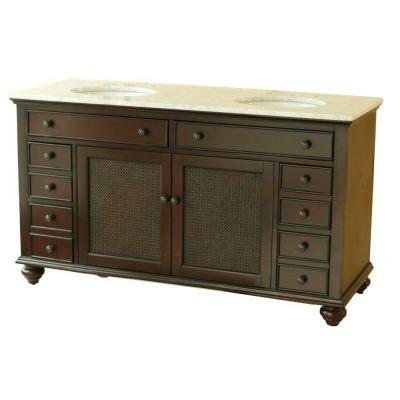 He promised to text an image of our wish list vanity as soon as his next truckload arrived. Sure enough, two weeks later, he sent a text with an image of the exact vanity we were looking for at a 60% discount. Two days later he delivered the vanity free of charge and he also brought along a mirrored medicine cabinet that would pair perfectly with the first vanity we bought on Craigslist for the small bathroom. We bought the new medicine cabinet at a 60% percent discount from the original price. We are very happy with the vanities and now are considering buying matching bathroom mirrors from the same Craigslist dealer. 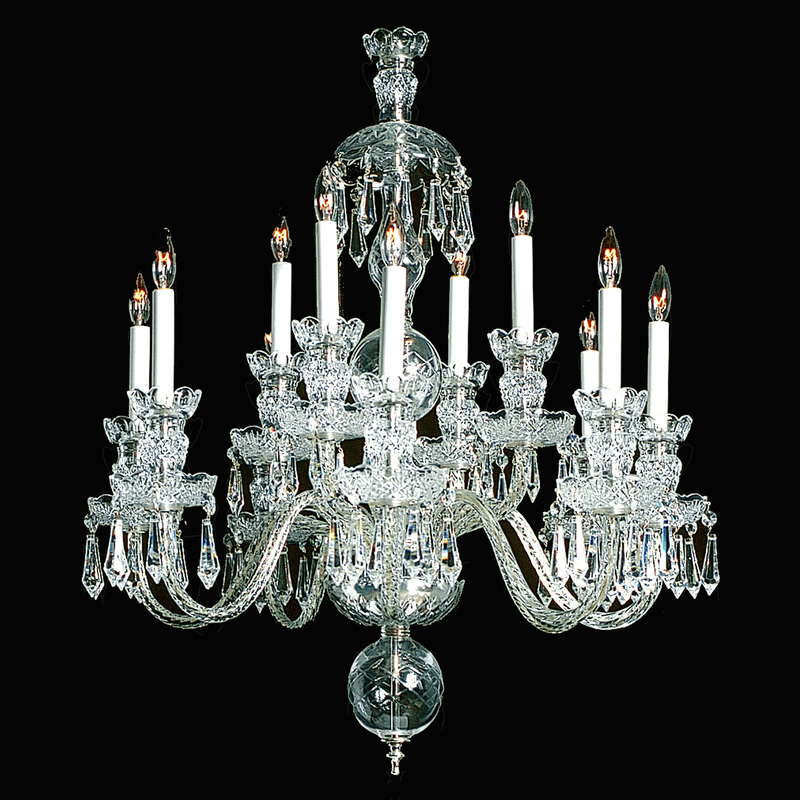 I’ve now set up a Craigslist email alert for a “vintage crystal chandelier.” Stay tuned to see how we do. If you are remodeling an existing kitchen or designing a new kitchen, you know how challenging choosing a range can be. 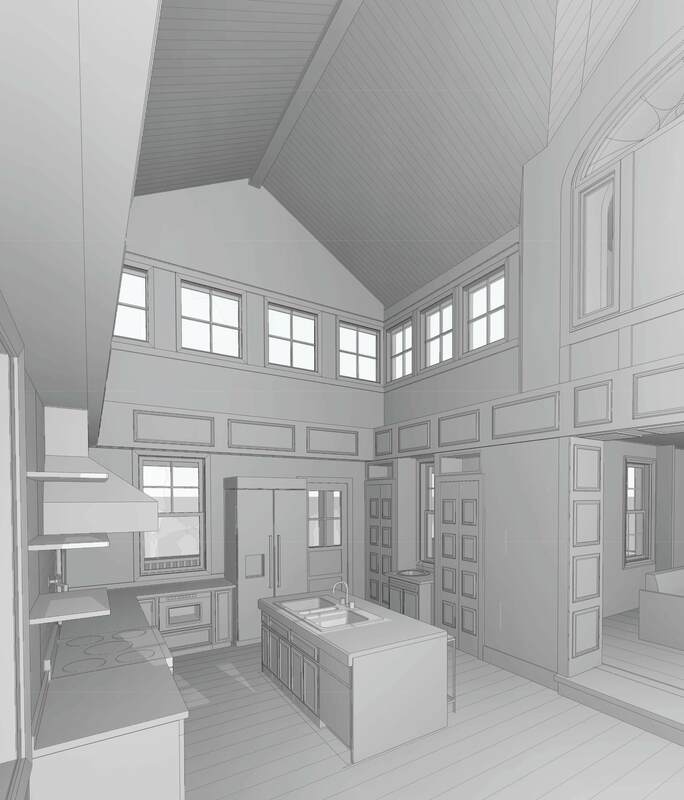 The rejuvenation of our 1811 Federal includes replacing an awkward 19th century addition with a new structure that will house the kitchen and dining room. 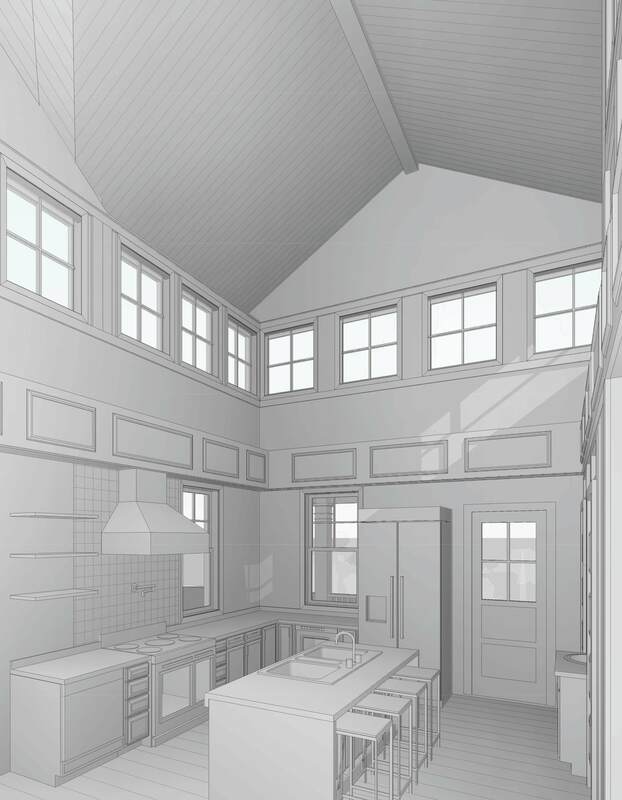 The addition will be an open, two-story space with clerestory windows. To keep the space bright and cheery, we have decided against installing upper cabinets. Base cabinets along the perimeter of the space, a central island, and a pair of pantry closets will tackle our storage needs. 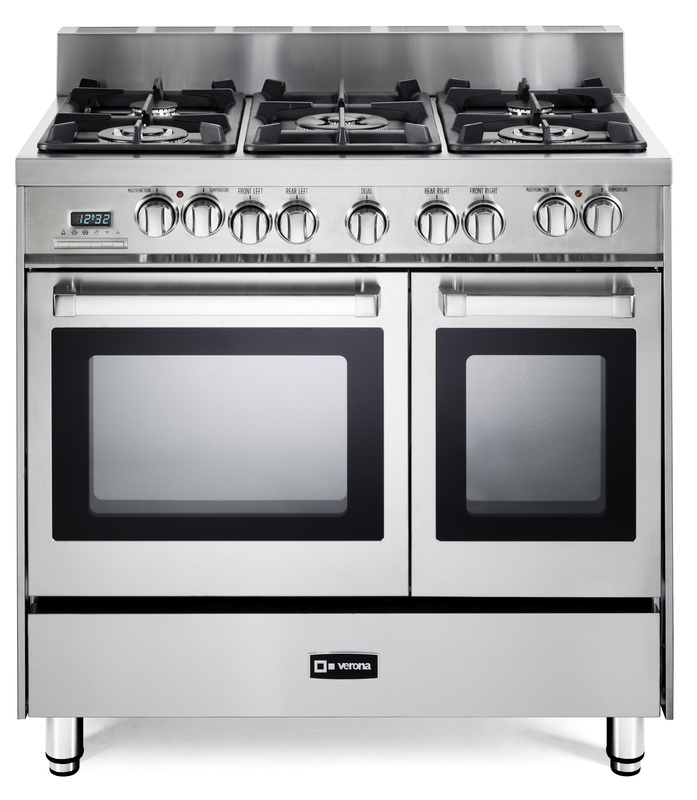 As for cooking, we are interested in a gas range with five burners and side-by-side double ovens. Double wall ovens would be counter intuitive to our decision to not install upper cabinets. Instead, we decided that a freestanding gas range with double ovens would be the best option. 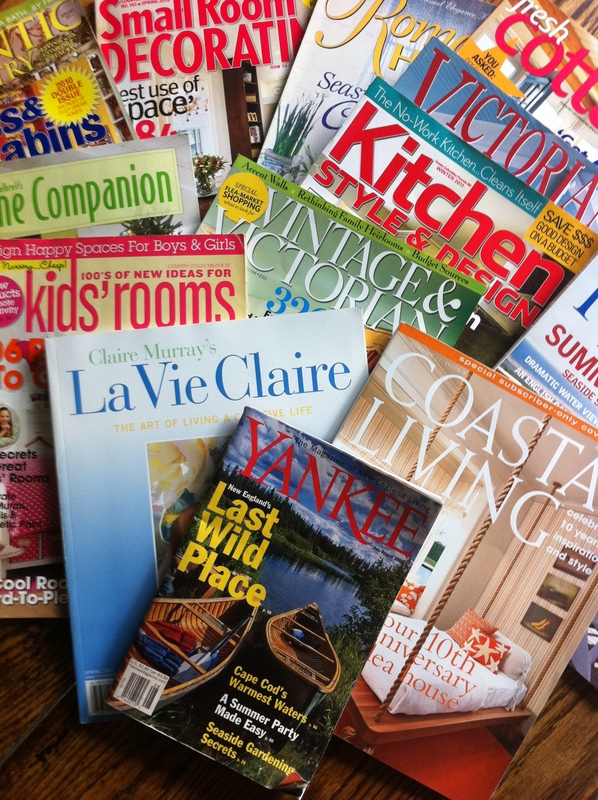 I love to conduct research and spent countless enjoyable hours reading Consumer Reports, Fine Homebuilding’s Kitchen Design books and stacks and stacks of kitchen design magazines. I surfed the Internet and visited several appliance showrooms trying to find a reliable, stylish, and budget-friendly range. I even spoke to a local appliance technician who specializes in the repair and maintenance of high-end appliances. You would be surprised which brands receive the most and costliest repairs. Oh those dastardly circuit boards!! 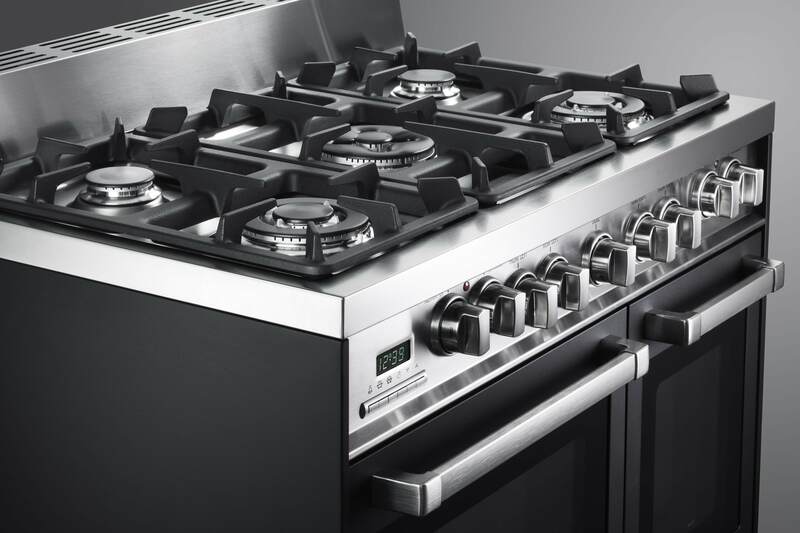 Finally, an Internet search revealed the Verona, a gorgeous 36-inch freestanding gas range with five burners, side-by-side dual fuel ovens, a storage drawer, adjustable legs, and color options. The price point was under $3,500. This all sounded too good to be true. According to Verona’s website: “The stylish Verona line of ranges, ovens and cook tops are a preferred brand of appliances featured in upscale kitchens throughout Europe since 1958. Each Verona piece is exquisitely designed and manufactured in the suburbs of Venice, Italy and stand as a benchmark for durable and beautiful Italian professional appliances. Verona products are held to stringent standards of quality unsurpassed in the industry. EuroChef USA is proud to offer the Verona line with its many benefits to the US market. 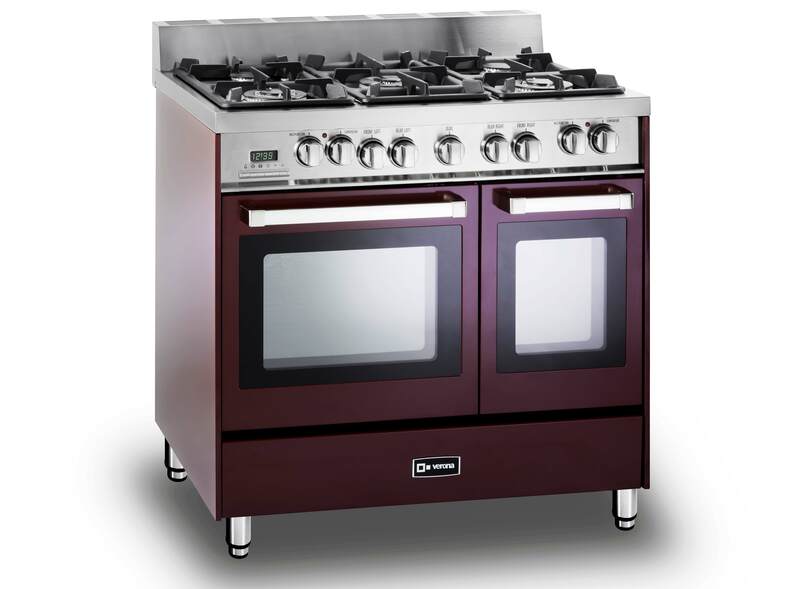 The collection offers the consumer a wide range of cooking appliances suitable for any size kitchen. Whether replacing an old unit, building a new kitchen or remodeling an old one, the Verona collection offers professional cooking and luxury that enhances the beauty and quality of kitchens everywhere. With the use of exclusive cooking technology, Verona burners use less fuel and energy than standard burners and provide safe and efficient cooking – from our family to yours… Burner heads are mounted close to the cooking surface to deliver better heat transfer and distribution. High output double and triple ring burners provide even heat across the bottom of cooking utensils for quicker cooking. European convection ovens are equipped with a third fan element that pre-heats the air that is circulated in the cavity to achieve consistent temperature for superlative results. Flame failure safety devices shut off the gas flow in the event the flame is extinguished. This safety feature is not found on domestic models but is standard equipment on all Verona ranges. Durable and heavy-duty glass doors keep heat and energy in the oven cavity while staying cool to the touch.” To view the Verona catalog online visit: http://veronaappliances.com/about-verona While you are on Verona’s website, also visit their other high end line Ilve: http://veronaappliances.com/about-Verona Before buying a ticket on the Acela Express Train to view a model in New York, I contacted the manufacturer and learned that a model was recently shipped to an appliance store less than ten miles from Newport. The news sent us racing to the store. I actually felt butterflies in my stomach anticipating seeing the range for the first time. We arrived at the showroom and the Verona was displayed among the professional ranges that cost more than my car. To our delight, the range was exquisite and highly recommended by the sales team!! Most importantly, the larger oven can hold a 25-pound turkey and the smaller oven can hold a ten-pound turkey. We can’t wait for the Verona to arrive next month. In the meantime, we are keeping busy with the design of the cabinets and island. Stay tuned for more details about the project.